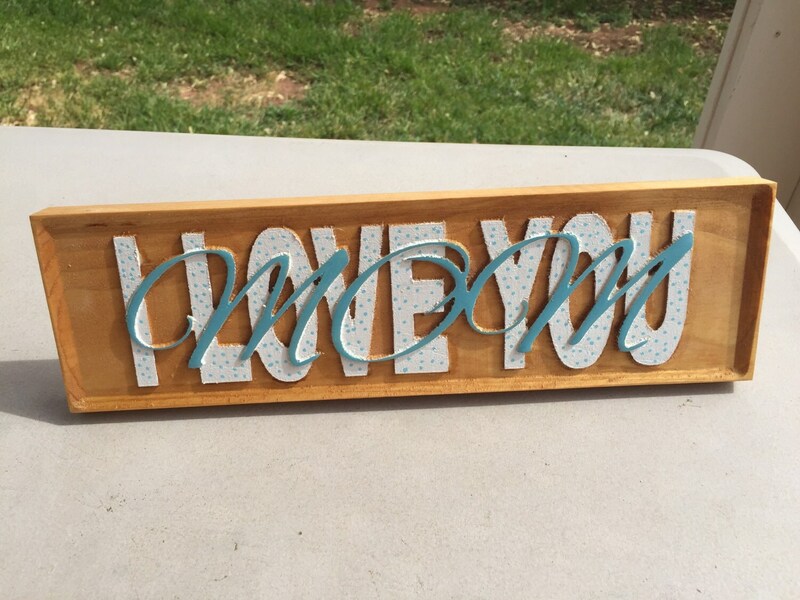 Carved, hand stained and painted sign. 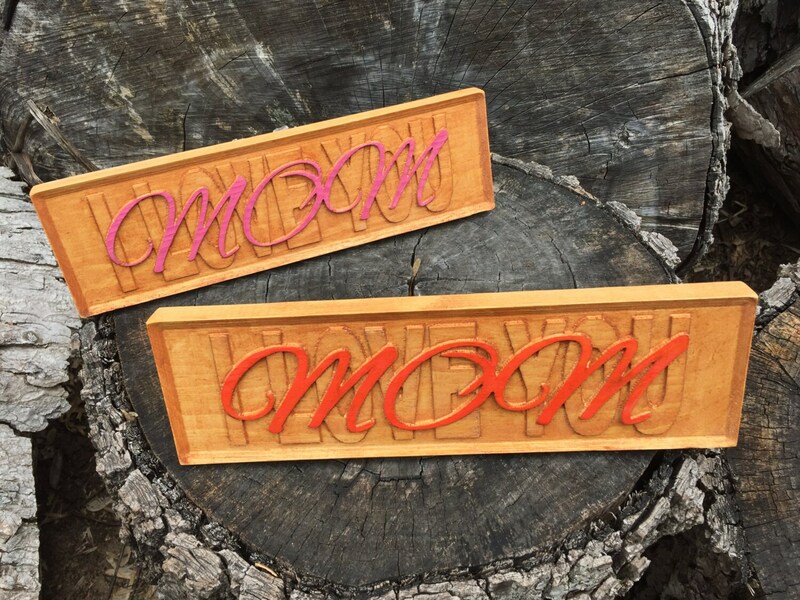 Three levels...background, "I LOVE YOU" and "MOM" in script. 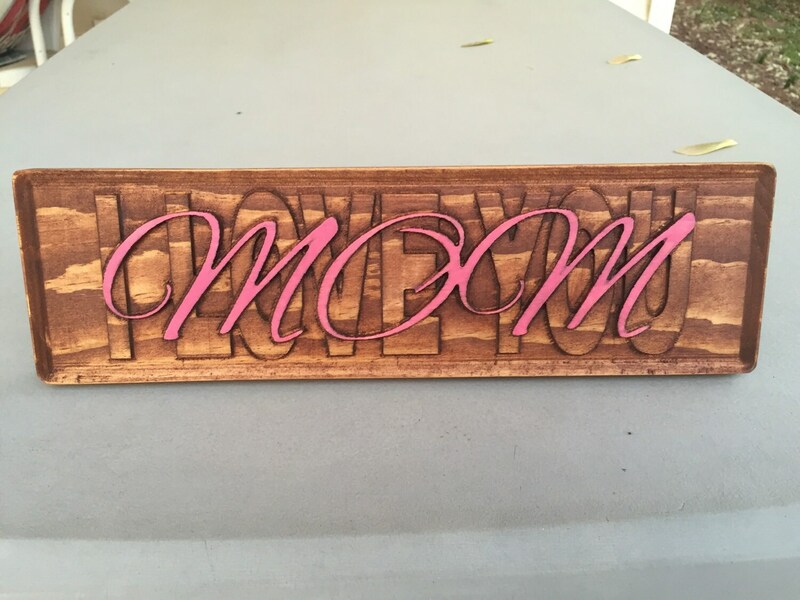 This sign is stained walnut and has "MOM" in pink. 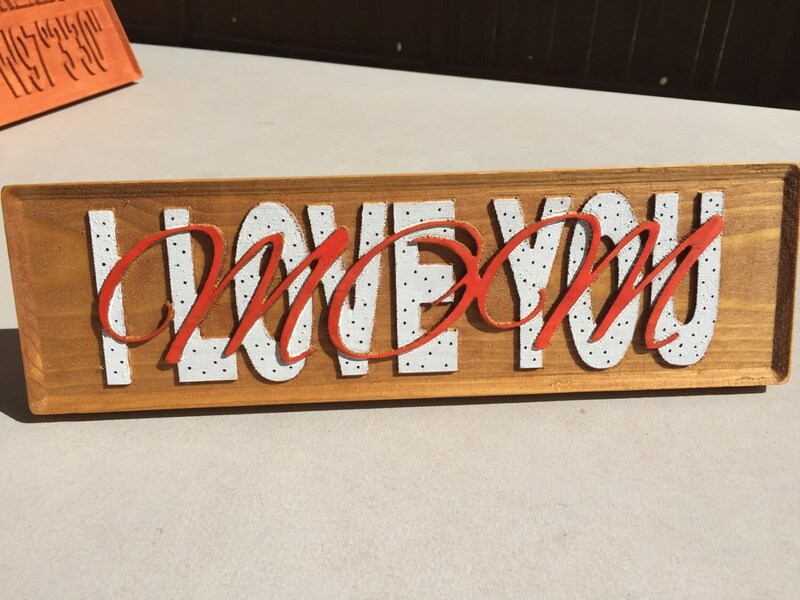 On the back is a keyhole for hanging on a wall, and a place to put the included dowel rod if you want to set it on a desk or table. 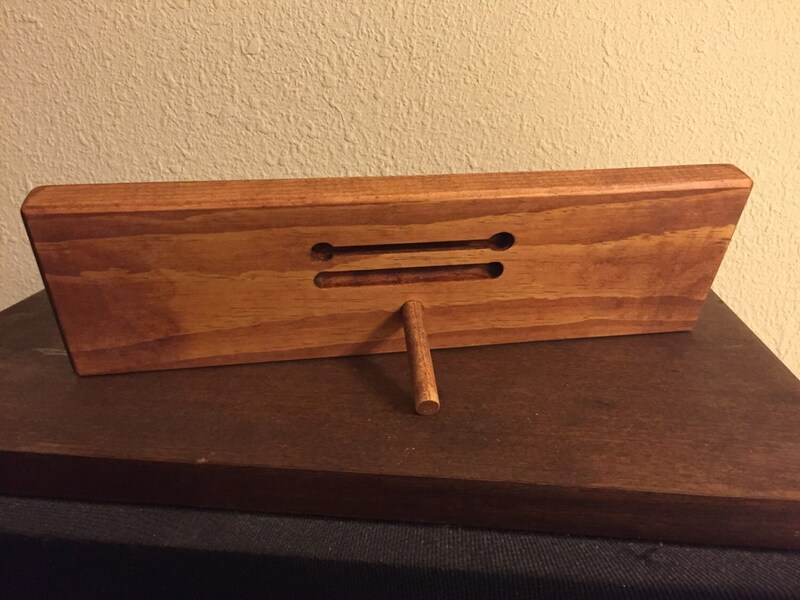 It's on 4" pine and is about 12" long. Made to order...other color combinations available.